Here's what you can expect throughout Friday. 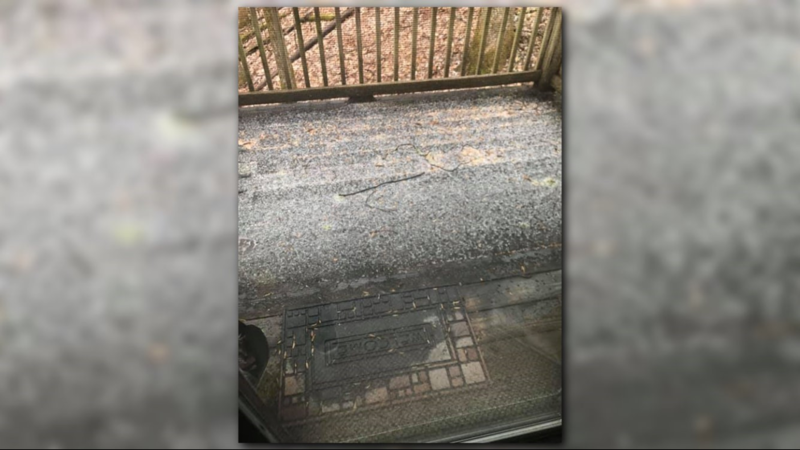 ATLANTA — Some counties saw severe storms Thursday afternoon after a tornado warning was issued for Meriwether, Harris, and Talbot counties. The warning has ended but a flood watch remains in effect through Friday night for parts of north Georgia. The potential for heavy rainfall will continue and rainfall totals up to an 1", with locally higher amounts possible in any stronger storms. 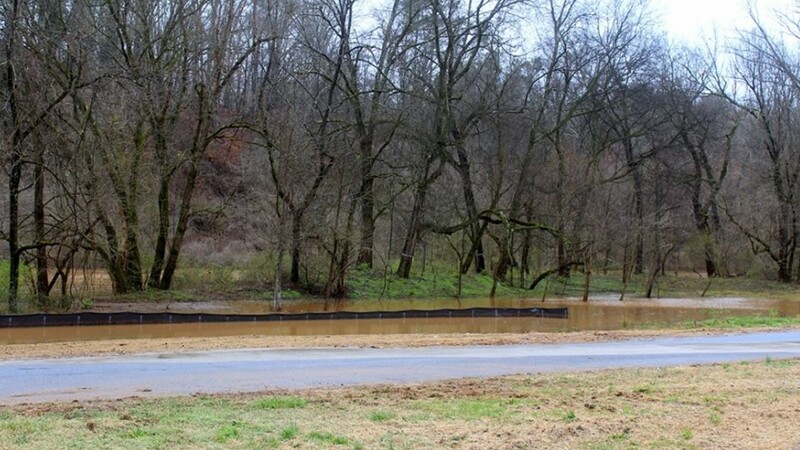 This amount of rainfall can produce significant runoff and flooding of creeks and rivers. You can expect light scattered showers around the city. There is also a dense fog advisory Friday morning across the state. Flood watch in effect for areas north of the city of Atlanta. Saturday will bring early morning showers, but the rain will begin to fade out. 9:00 pm - A dense fog advisory has been issued for all of north Georgia including the metro area and southward into central Georgia. 7:08 pm - A flash flood watch has been canceled for Banks, Barrow, Carroll, Clayton, Cobb, Coweta, DeKalb, Douglas, Fayette, Forsyth, Gwinnett, Hall, Haralson, Heard, Jackson, Fulton, Paulding and Polk counties. 7:07 pm - A flash flood watch has been canceled for Bartow, Catoosa, Chattooga, Cherokee, Dade, Dawson, Fannin, Floyd, Gilmer, Gordon, Lumpkin, Murray, Pickens, Towns, Union, Walker, White and Whitefield counties but continues an areal flood watch for each. 7:00 pm - The tornado warning for Meriwether County has been canceled. 6:40 pm - A tornado warning has been extended for Meriwether County until 7:30 p.m.
6:36 pm - The tornado warning continues for Meriwether County until 6:45 p.m. It has been canceled for Harris and Talbot counties. 6:09 pm - A tornado warning has been issued for Meriwether, Harris and Talbot counties until 6:45 p.m. Move to a basement or an interior room on the lowest floor of a sturdy building. Avoid windows. If you are outdoors, in a mobile home, or in a vehicle, move to the closest substantial shelter and protect yourself from flying debris. A severe thunderstorm capable of producing a tornado was located near Hamilton, moving northeast at 20 mph. 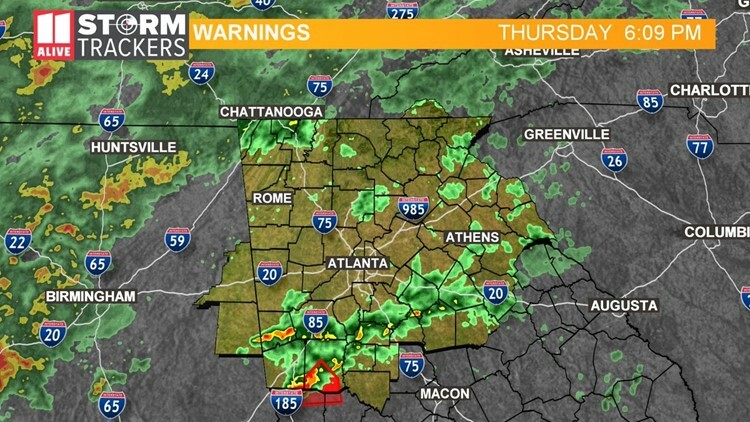 3:20 p.m. - Once the flash flood watch expires at 7 p.m., weather officials are expected to issue a flood watch for parts of north Georgia. More rain will move into the area. 1:30 p.m. - Forsyth County Fire Department said crews had to rescue a person trapped on top of a vehicle on Nicholson. Officials said the person went around a barricaded and tried to drive through water.. This is near the Etowah River, which officials said the area is known to flood. The person climbed on top of the truck and called 911 to be rescued. Crews managed to get him out of the water. 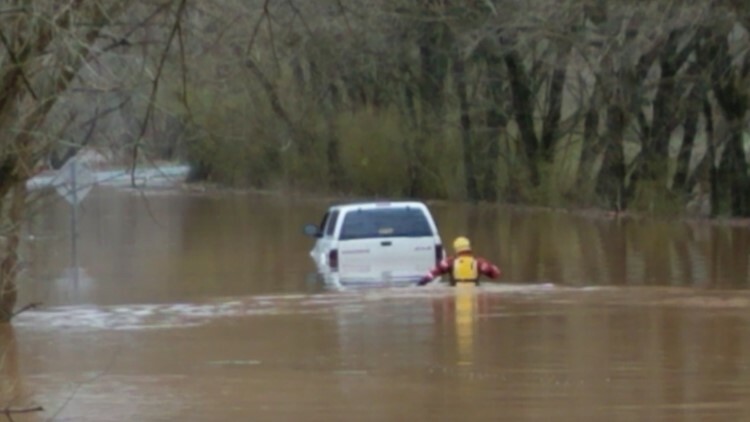 Crews rescue driver in Forsyth County floodwater. 5:17 a.m. - Waking up to heavy rain, lightening and thunder. Dahlonega has heavy rain that will slide up to the Northeast. Roswell has heavy rain and less lightening strikes. 6:00 a.m. -- It's coming down heavy near Emory University. 11:30 pm | More rain is expected overnight with the possibility of gusty winds and lightning. 10 pm | Authorities say Dunwoody Police are on Peachtree Place Parkway to respond to reports of a tree on a car. 9:43 pm | Video shows first responders rescuing two trapped hikers. 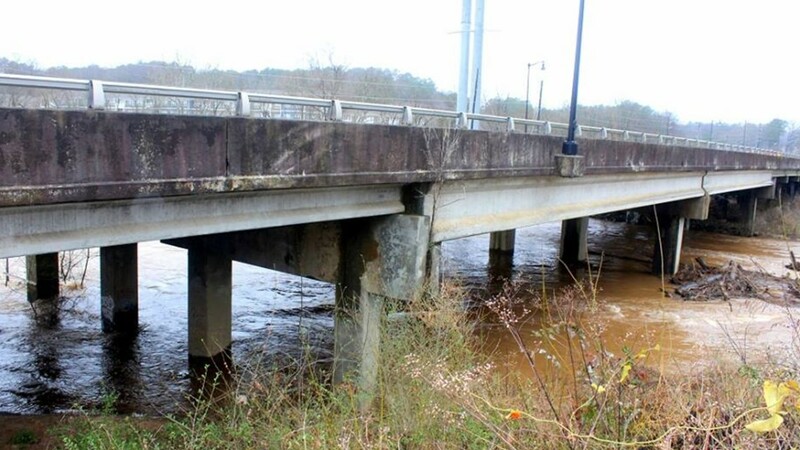 Walker County officials said they were called to a section of East Armuchee Creek just before 9 a.m. in regard to two men who were stranded amid rising water near Manning Mill and East Armuchee roads. 7:40 pm | 11Alive Meteorologist Samantha Mohr gives an update about the storms. Overnight there might be hail and frequent lightning. The rain will also continue through the weekend. 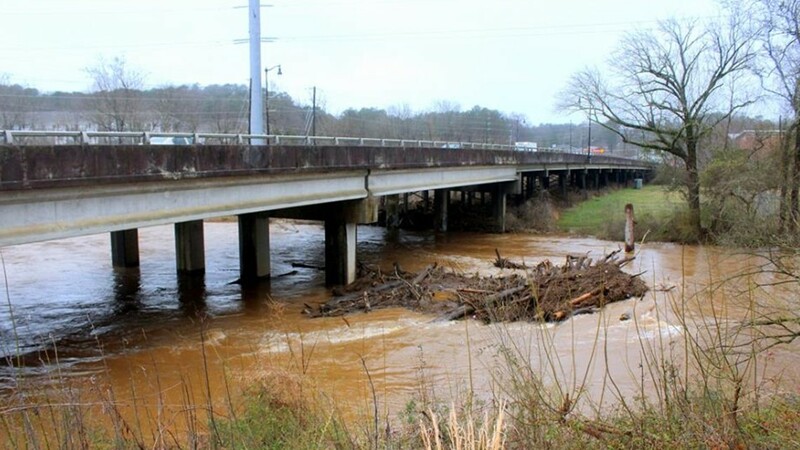 7:20 pm | The Cherokee County Fire & Emergency Services shared photos of the Etowah River in Canton, Ga from Wednesday afternoon. Some of the low lying areas are already having some flooding. 6:26: pm | The National Weather Service says it received a report about a lightning strike possibly hitting a home and sparking a fire in Flowery Branch on Canberra Way. 4:35 pm | The flood warning for Big Creek in Alpharetta has now been extended until Saturday evening. 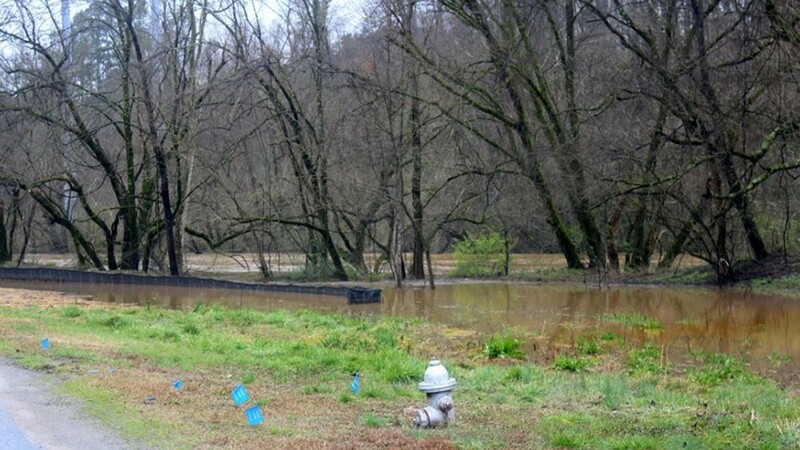 As of 3 p.m. Wednesday, the creek's stage was at 8.4 feet and rising. Flood stage is 7 feet. 3:35 pm | Chris Holcomb says stronger storms are beginning to move into Georgia. Significant Weather Advisory has been issued for parts of Chattooga, Whitfield, Walker, Gordon, Bartow, Murray and Floyd counties until 4 pm. A strong storm was located southeast of Summerville, moving northeast at 70 mph. Up to 40 mph wind gusts along with pea-sized hail and frequent cloud-to-ground lightning is possible with this storm. 11:55 am | Total statewide power outages reported from both Georgia Power and Georgia's EMCs is 8,666 as of 11:55 a.m. Most people to the north of the I-85 corridor are at an increased risk of possible power outages through the day on Wednesday. 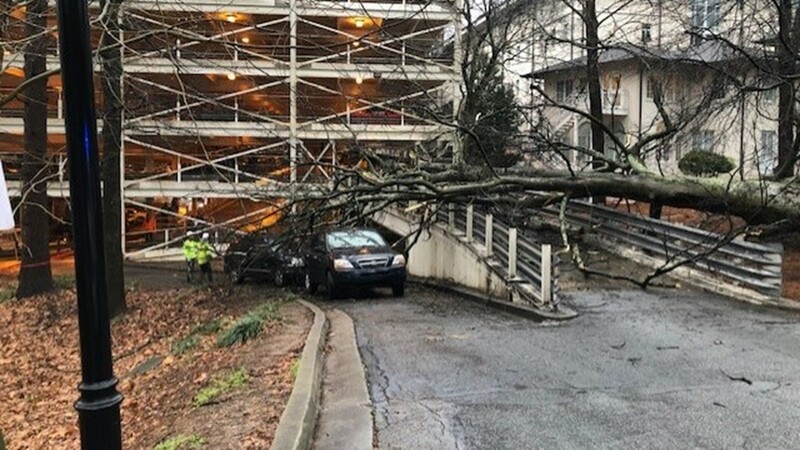 11 am | Officials at Emory University said six cars were blocked in or damaged by fallen trees Wednesday morning. No injuries were reported. 10 am | After Tuesday's heavy rains, the pollen level has decreased significantly for Wednesday. On Tuesday morning, Atlanta's pollen count as reported by the Atlanta Allergy and Asthma Clinic was 1125. According to Atlanta Allergy and Asthma, the pollen count for Wednesday is 2. 9:53 am | Emergency managers said a small landslide of trees, dirt and rocks near Dalton had blocked a portion of the roadway on Dug Gap Battle Road. No injuries were reported, according to the report from the National Weather Service. 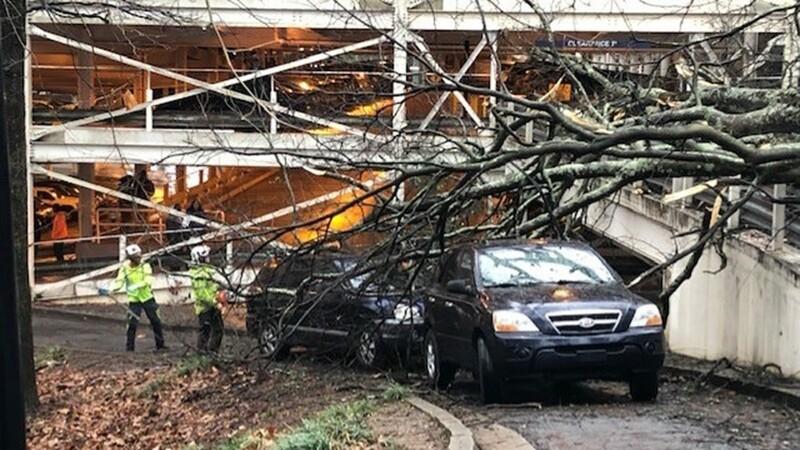 Several cars were damaged by trees at Emory University on Wednesday, February 20, 2019. 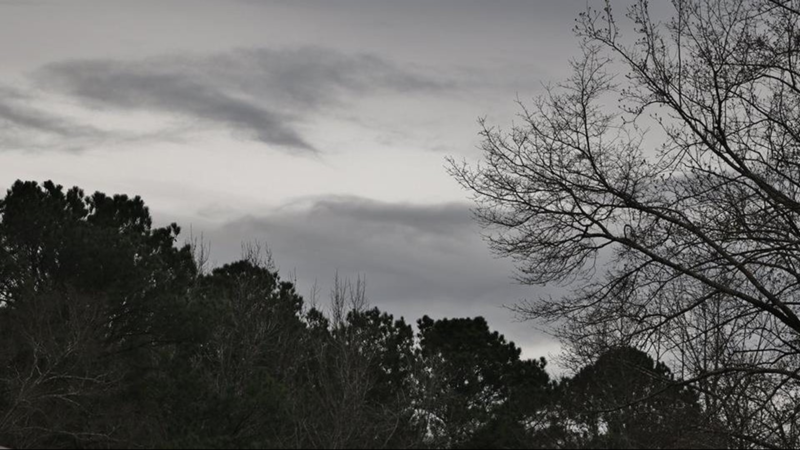 Threatening skies and rain can be seen on Feb. 19 from Mary Beth Etheridge from Stockbridge. 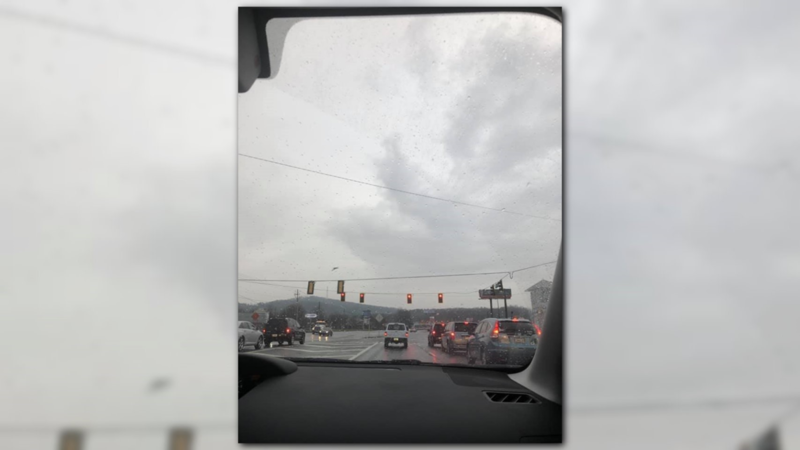 Rainy skies and sloppy roads greeted motorist Lynn Robinson in Cartersville on Feb. 19. 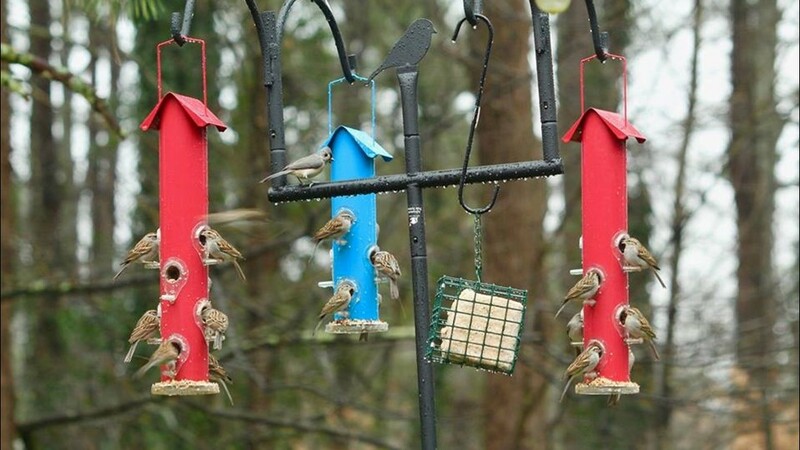 11Alive viewer Virginia M. Lamb sent this image of birds visiting her back yard not long after light rains started on Tuesday, Feb. 19, 2019. Heavier rain began to fall later in the day. 9:45 am | Two new flood warnings have been issued in Floyd County: One for the Coosa River near Plant Hammond until further notice. The second flood warning is for Oostanaula River near US 27 in Rome until late Wednesday night. 9:30 am | High wind gusts were reported by the National Weather Service in several higher elevation areas of the north Georgia mountains early Wednesday morning. A Wind Advisory for up to 40 mph wind gusts was issued for the overnight hours for most of the north Georgia mountain counties. 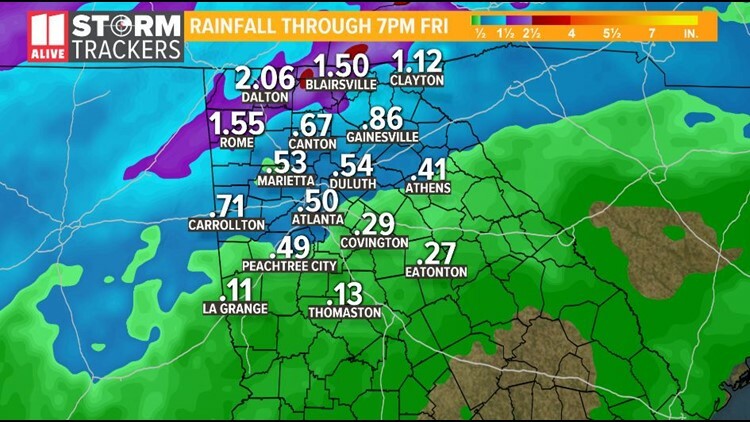 Winds were expected to subside well after daybreak, but more heavy rain was expected to move in across all of north Georgia through the day.